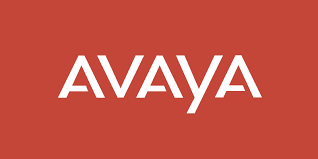 AVAYA, a global player in telecommunications market, a spun off from Lucent technologies, with over 100 years of experience and innovation in our DNA from AT&T , Bells Labs to Lucent Technologies. More than one million businesses worldwide, including nearly 90 percent of the FORTUNE 500, use Avaya solutions for IP Telephony, Unified Communications, Contact Centers and Communications-Enabled Business Processes. Avaya is a global player with presence in 54 countries with more than 19,000 'Futuremakers', including 2,500 and above research and development professionals worldwide. AVAYA INDIA Avaya's India Development Center collaborates with Avaya Labs globally for research and development in building Avaya's products of the future as well as consulting and integration services. The state-of-the-art facility also houses Global Services Delivery, which provides complete maintenance support for customers and business partners. In India our centers are located in Pune, Mumbai, Gurgaon, Kolkata, Bangalore and Hyderabad. Currently, we have over 2000 'Futuremakers' in India, based out of all these locations.